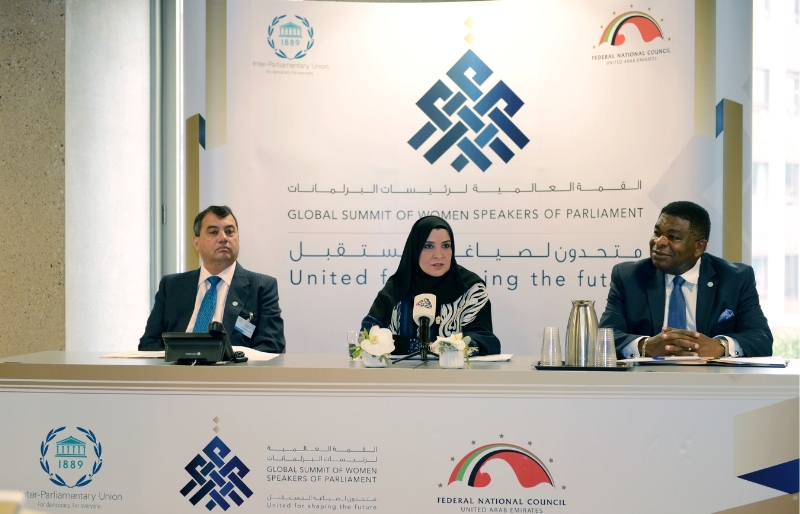 GENEVA: PRNewswire: At the 135th Inter-Parliamentary Union (IPU) Assembly and Related Meetings in Geneva today, the UAE Federal National Council along with IPU announced The Global Summit of Women Speakers of Parliament, set to take place at the Emirates Palace Hotel in Abu Dhabi on 12-13 December 2016. This unique gathering of 50 women Speakers of Parliament will be held under the theme “United for Shaping the Future” and will focus on framing actionable recommendations around key issues such as gender inequality, economic disparities and intolerance. Through a series of panel discussions led by key thought leaders from sectors including government, academia, science, international organizations and civil society, the Summit will devise a unified strategy to implement solutions through legislative means. The Summit, which is jointly organized by the IPU and the UAE Federal National Council, will close with the Abu Dhabi Declaration, which will call upon parliaments worldwide to work together to tackle the current and future challenges.